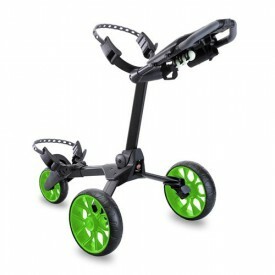 Stewart Concepts Limited is a rapidly rising star in the golf trolley industry. The small privately owned British company traces its origin back to the 1980s when Roy Stewart, a recent pensioner realised that there is still plenty of room for improvement in the way the golf equipment is lugged around the course. Before the turn of the millennium, his sketches and concepts were rediscovered and further developed by his two sons Roy and Ross and grandson Mark. They were soon joined by two brilliant engineers and the Stewart Concepts Limited was born.